From past few years, Android OS on mobile devices has created a great revolution in mobile market. Many smatphones using Android has significantly increased and millions of people around the world are using Android Smart phones. 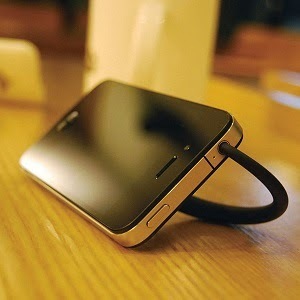 When you buy and Android smart phone, you would love to take some snaps , take some videos and save important contacts. 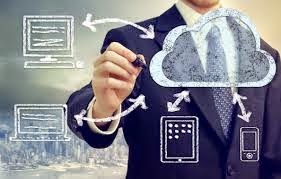 Though few are using cloud storage now-a-days to save their data online, many still prefer to copy their data to a Windows PC. Is a cable mandatory to connect your Android phone to Windows PC ? I don't think so. 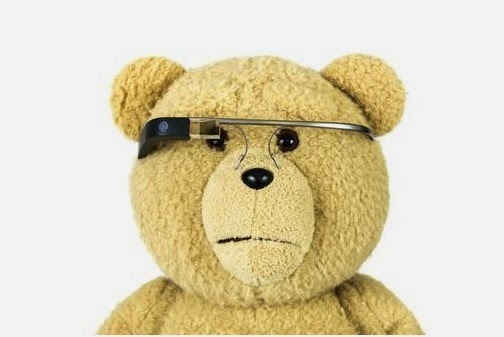 Can we do wirelessly ? Yes Ofcourse. There is no doubt about it. There is an app which is free and fast. Its called AirDroid. As name states all data transfers over the air. 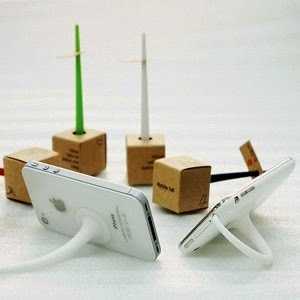 Amazing isn't ? AirDroid is fast ,free app that lets you wirelessly manage and control your Android from a web browser without cables. With AirDroid you can capture remote screen shots, take photographs using phone camera, view your phone call logs and reply to SMS message from Windows PC. 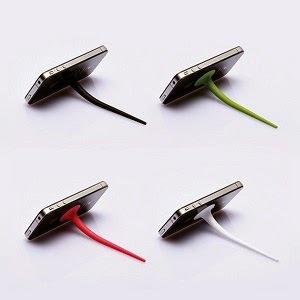 However, its not possible to initiate phone calls from the PC. May be coming version of AirDroid may provide this feature. If your data port to Android smart phone is broken and if wifi works fine in your phone, Airdroid will be of much use to you. To get it working, you first need to install Desktop client in your Windows or Mac PC first. You can download the client from beta.airdroid.com. 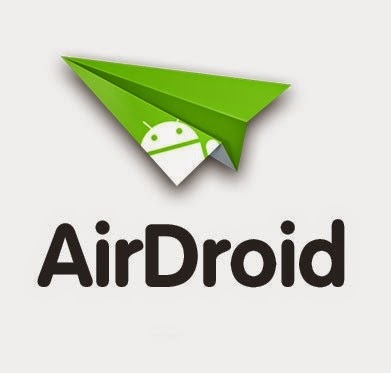 Next download AirDroid app on your Android mobile. Download Android app from beta.airdroid.com. Current AirDroid 3 is still not available in Google Play store. Get it beta version from here. It is always pleasurable to get a hobby. Having a hobby will offer you something to spend your time on, and something to take pleasure in when you have substantial amount of free time. Radio controlled models are some of the unique hobbies you can indulge your time on. You can build models of practically any car, from watercrafts to aircrafts to helicopters. A crowd of enthusiasts will choose to have radio controlled helicopters as a hobby. Building a helicopter is extremely complicated, but by utilizing the best kits you can start without an issue. Once you fly your helicopter, you will feel gratified of the entire experience since flying a helicopter is a blast! The most essential part of flying a model helicopter is to be skilled in managing it. You should understand exactly how to fly the helicopter, otherwise you run the risk of crashing it and destroying your entire investment. Make sure to obtain an air travel manual from someone you know has a radio-regulated helicopter. Once you have made a decision to have a helicopter, you can start searching for your own kit. You can get radio regulated helicopters that come entirely assembled and all set to fly right out of the box. However, there is very little joy in buying this one, and it will likely only give you a few hours of entertainment. When you get a model that actually has to be built from a multitude of small plastic pieces, the thrill will be undeniable. You will likely get overwhelmed while building it. However, once you finish and get to see the helicopter you build flying efficiently, you will definitely appreciate the time you’ve put in. You don’t have to be restricted to the easy kits. There are many different options for very innovative helicopters that have various shapes and features. You can discover these in specialty stores all over the internet, as well as in some brick-and-mortar shops (if you are lucky to have one nearby). Always make sure to research prior to buying and building one. You can find reviews and read about experiences all over the internet. You can learn about how well your chosen helicopter flies, how easy it is to assemble and navigate, and anything else that you want to learn about. 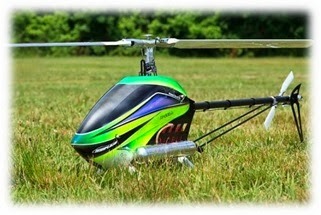 If the thought of flying RC helicopters looks forward to you, then check out a model kit today. It is a fantastic feeling to uncover a brand-new pastime that you are great at and enthusiastics about, so don't hold yourself back if you believe it could be a one of favorable in your life. I guaranteed when you start to play remote control helicopter at once, you will passion in it. 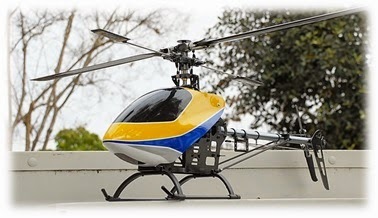 For Rc helicopter It can normal fly only but you can control to fly in various style, it up to you and depend you skill. I am a one of who passion in remote control helicopter and I would like to introduce everyone to play it for once. MS Outlook data file recovery tool can be used to fix several PST file corruptions errors like: Outlook.pst is not a personal folder or Outlook unable to open xyz.pst file etc. 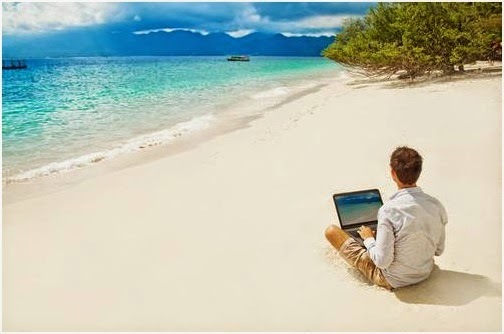 It is a fully Windows based program that works only on Windows Operating System. I got this reliable application after a long time searches and by spending my precious time in Google. That’s why I am showing interest to write a review for this Outlook data file recovery software. 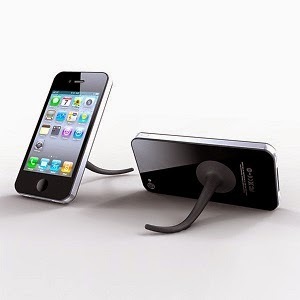 The tool is very helpful for the needy users who are looking for such solution. Why Need to Use an Outlook Recovery Solution? I am using Microsoft Outlook as an email client from past 5 years for better emailing and data security purpose. According to my own knowledge I have noticed some general concerns when user need to repair corrupted Outlook database through a smart tool. Downloading number of emails day by day increases the size of PST file and also slows down working performance of MS Outlook. Some time it also frequent caused for corruption. To avoid this problem user need to execute repair task. Due to virus attacks, software, hardware or power failure Outlook PST file gets corrupted and user cannot read precious data from PST file. To repair an inaccessible Outlook personal folder file, Outlook data file recovery tool can be utilized. Deleted emails or other items (by pressing only deleted button) can be recovered itself by moving them from “Deleted Items”. But some time user shift deleted emails by the mistake or due abundance. And if he wants to recover missing emails from PST file that are deleted permanently then this tool comes in action. Because permanently deleted items cannot be recovered manually. How to Repair Corrupted Outlook Database.pst? By using this tool it is easy to repair PST file and export into a healthy PST. Only few steps are required to operate this automated solution that I have also seen at time of recovering my corrupt PST file. Click the save as PST button to export recovered data in a healthy PST file. Also get extra export options to save PST file data. After getting over recovery process, a confirmation messages pops-up in screen. Capabilities of Outlook Data Recovery Software Seen by Me! 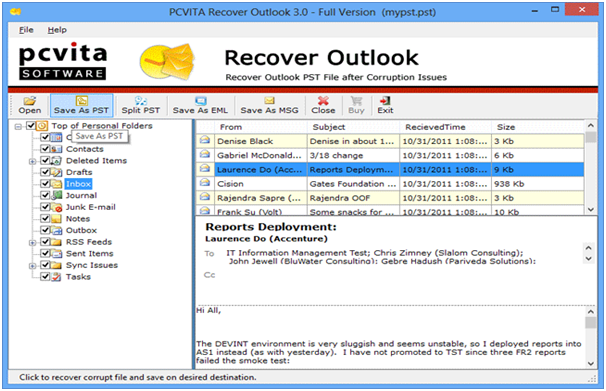 Product Information: Outlook Data File Recovery Tool! 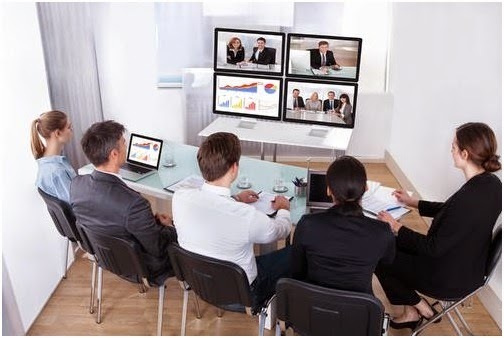 Free demo version tool is for only trial purpose and restricted to save and split PST file. 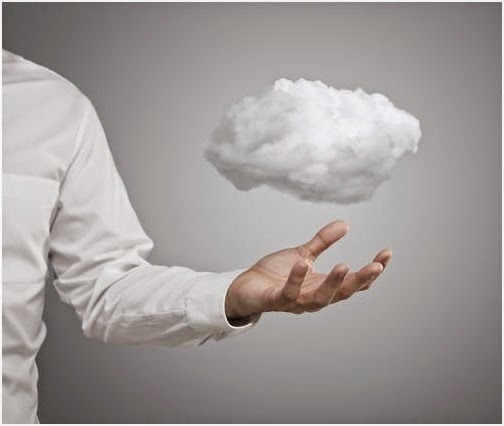 Here is a list of features to clarify difference between demo and full version of product. As a user, I found the software applicable of recovering healthy data items from corrupt PST files and export them into multiple (required) file formats without losing data integrity. These working abilities of product make it worth investing upon. So, above declared details can be compromised. Apart from that, free trial version and every time tech support assistance are extra benefits that obligated me to check up and purchase the tool. When we talk about email server and some related terms, things get sophisticated automatically. In fact, you need to pay more attention to what is being discussed and how significant it is for you being the Exchange administrator. Exchange Server, though, is quite a lot in use in organizations all over the world, aimed at providing a secure email based communication. 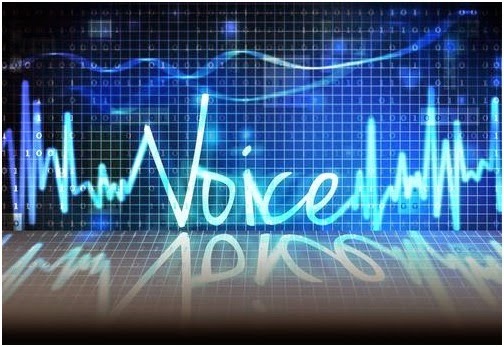 However, you cannot deny issues coming into view at different phases of Exchange Server implementation, while a few ones result in Exchange corruption or failure at the end of the day. Fixing Exchange corruption needs professional Exchange Server Recovery software with ease of usage so that there is no extra overhead and data loss ultimately. Stellar Phoenix Mailbox Exchange Recovery claims to repair the corrupt MS Exchange Server databases and restore all the inaccessible mailboxes in PST files, which you can directly import into Outlook client. 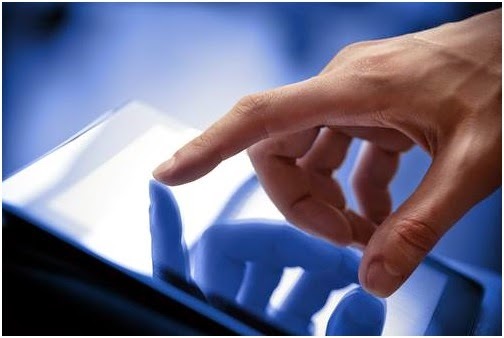 The software exhibits a simple and self-directive user interface that makes it Do-It-Yourself software. 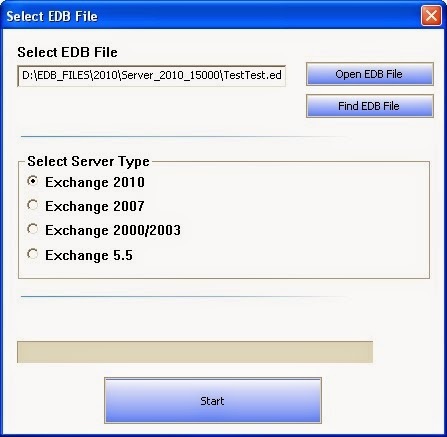 The 'Open EDB File' and 'Find EDB File' options help you to select or find the EDB file on the computer if you do not know its exact location. After that, select your respective Exchange Server version to proceed. Note: The Exchange Server version selected under 'Select Server Type' on the home screen must be accurate. 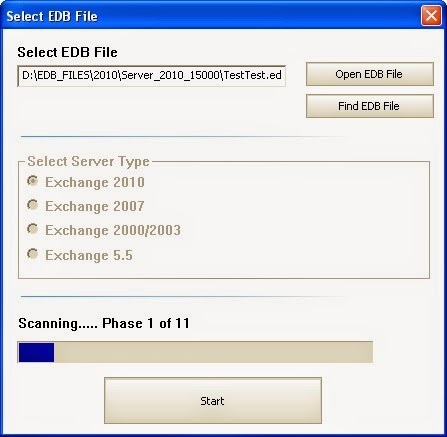 Scan the selected EDB file to fix corruption thoroughly. 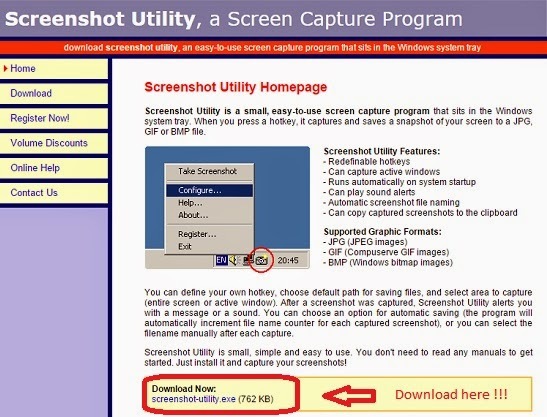 The software provides you with two options to scan the EDB file, i.e. Quick Scan and Extensive Scan. 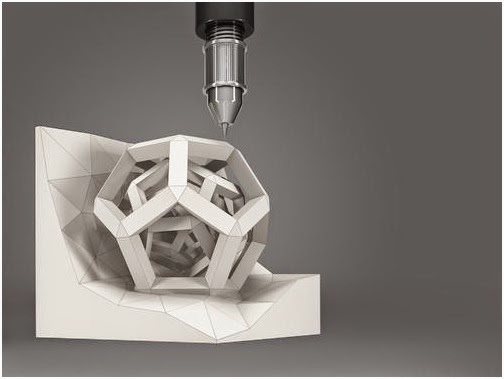 Quick Scan is quite fast and gives desired results most of the times. Extensive Scan is slow, but gives better results. 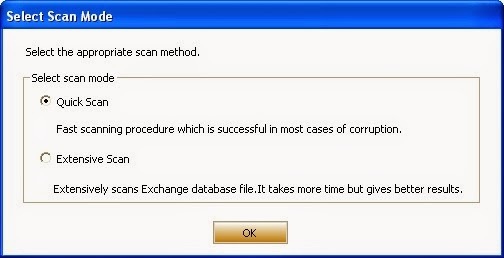 Select a scan option to continue scanning the corrupt EDB file. The software will start scanning the EDB file as per the scan mode selected and displays the following screen, indicating scan in progress. Since the EDB file contains multiple users' mailboxes, it may take a while to scan all the mailboxes individually. With the mailboxes scanning finished, you can preview the items in the each mailbox. Go though the folders listed in a hierarchical view at the left, below the names of their respective mailboxes. As you can see in the image above, selecting a folder in the left pane reveals its contents in the upper-right pane, while the preview of the individual item is displayed in the bottom-right pane. You can, in a like manner, go through each folder in the mailbox of individual user. 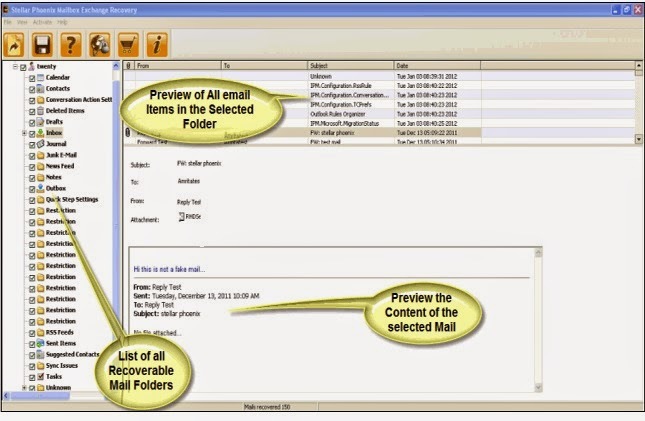 The software allows saving all as well as selected folders in a mailbox, which is applicable for all the mailboxes in the EDB file. With the required folders in each mailbox selected, proceed to save these mailboxes as individual PST files that can be imported into Outlook in a trouble-free way. Clicking the Save Mailbox option in the toolbar flashes a pop-up dialog asking for selecting Destination Path to save the PST files. Select destination to save the repaired mailboxes in individual PST files. You see the screen showing save mailbox. Ability to repair corrupt MS Exchange Databases irrespective of how corruption occurred. Ability to recover deleted mailboxes from the Exchange Server. Ability to display a preview of all repaired and recoverable mailbox items individually. Ability to save all as well as selected mailbox items recovery. Ability to save individual mailbox in a separate PST file. Ability to generate a log report of the entire repair process. The trial versions of both Administrator and Technician licenses are also available. You can download the trial version here and purchase paid version here. Why Stellar Phoenix Mailbox Exchange Recovery? Stellar Data Recovery is ISO 9001:2008 certified organization that specializes in Data Recovery Software and Services, dealing in various domains, such as Email, database repair and conversion, server tools, data recovery from Mac and Windows platforms, and more. 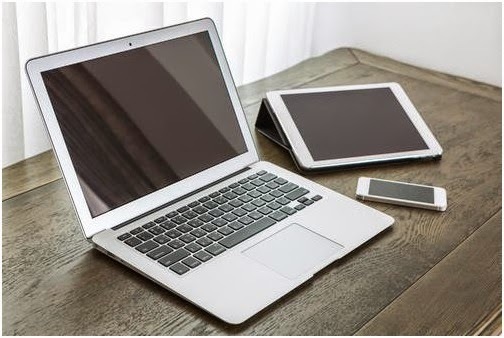 The company provides in-lab data recovery services from a range of storage media, such as the hard drives, USB flash drives, SD cards, SD/DVD, RAID, and more. More than 2 million customers across the globe are satisfied with company's services. Stellar Phoenix Mailbox Exchange Recovery efficiently repairs the corrupt Exchange Server database and restores the contents of the mailbox in Outlook PST file. You can import the PST file directly into Outlook client and access your mailbox. The software keeps the contents of the original EDB file intact. Stellar Phoenix Mailbox Exchange Recovery performs the intended job in a reliable manner, while the Exchange database remains intact. The individual PST files can be imported into Outlook with no extra efforts. The software for repairing the corrupt EDB files is efficient and I recommend using it whenever a need for such a tool is experienced.